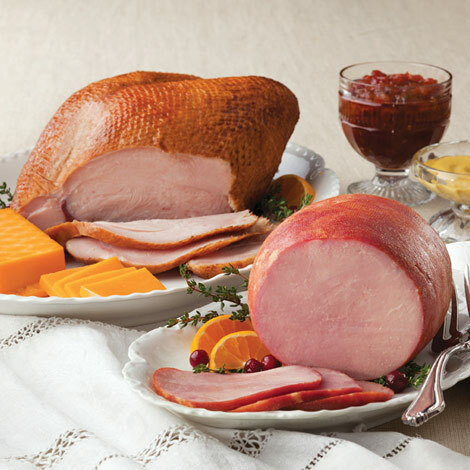 This delicious combo features our popular Smoked Turkey Breast and Smoked Boneless Ham - ideal for holiday meals or special family dinners. Plus our tasty pepper relish makes a great cooking glaze. The champagne mustard and smoked cheddar are the perfect companions to add on the side. We had 9 people for Thanksgiving dinner. And again this year we ordered our proteins from Amana. The smoked turkey and ham combo were perfectly delicious and won raves. This is such a no-brainer delight. I plan on repeating the process next Thanksgiving. Thanks, Amana. Being able to send the Amana smoked meats to our car away family was the perfect gift. A small taste of Iowa! Growing up in Iowa as a child, a trip to the Amana Colonies was always such a treat. I always knew the food was always going to be really good! Now that I am an adult I still want to support and get great food that I grew up enjoying. 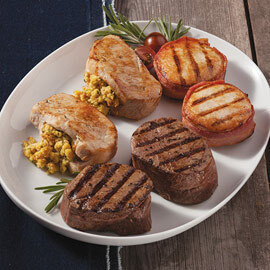 I still am never let down when I order from Amana Meats. Thank you Amana Meats for a bit of my childhood! We ordered the smoked turkey and smoked ham for Christmas dinner. Everyone loved it! 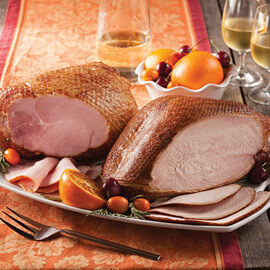 Our Amana Hams and Smoked Turkeys are fully cooked and ready to eat. 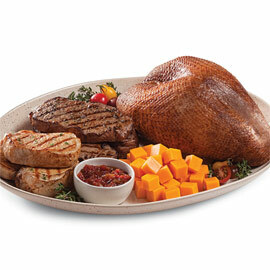 Both the turkey and the ham may be served at room temperature, but can be re-heated and still be delicious. Simply follow these instructions for re-heating for the best results. To serve warm: if frozen thaw in refrigerator, remove packaging and place on a rack in a shallow pan or roaster with a small amount of water. Separate pans are best but one pan would work. Cover with foil or lid. Place in a pre-heated 325° oven. Bake approximately 12 minutes per pound for fir each, or until the internal temperature reaches 135°. (You may bathe the ham and turkey with liquid from the pan during the heating process for maximum flavor and to retain moisture.) Remove foil 3/4 the way through the cooking time so browning can occur. Basting with the ham with your favorite sauce is always an option. We recommend our Horseradish Jelly - delicious! Call to order. The ham and the turkey may be stored in the freezer in their original packaging for up the three months. *SPECIAL NOTE: Your smoked turkey may have a pink cast when sliced. This is a harmless characteristic of smoked poultry.